Back when NBC was still hoping people would actually start watching Community instead of just talking about it on the Internet, it hit upon the idea of giving viewers tightly focused rehashed versions of things they already like. Why come up with a whole new idea when it’s easier to just do The Sound Of Music and Rosemary’s Baby again? As great as those were, NBC’s latest flash of brilliance is even less likely to fail: The Beatles. What about The Beatles? Who cares! Something related to The Beatles! 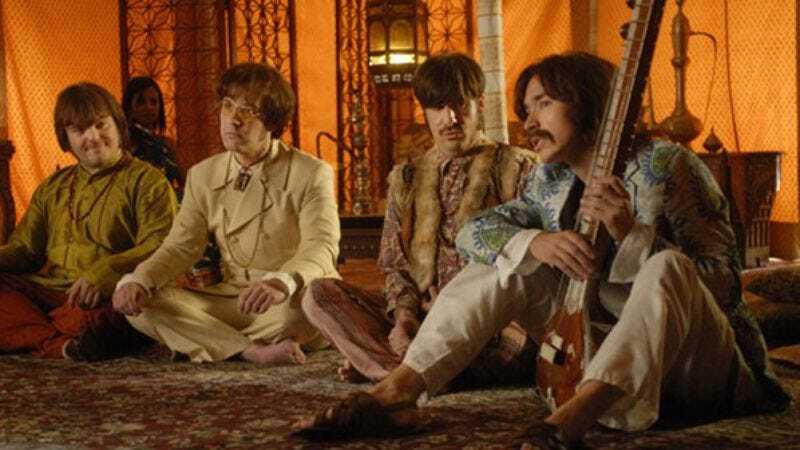 This news comes via Deadline, which reports that NBC is currently working with writer Michael Hirst to develop an “eight-part event series” that has something to do with The Beatles. Hirst created Showtime’s The Tudors, so he knows a thing or two about writing for old-timey English royalty. Beyond that, though, we don’t know much of anything. Will it be the story of how The Beatles met? Will it focus on their post-Beatles lives? Will it be about John Lennon living in New York with his wacky friends Joey, Chandler, Yoko, and Monica? Will it be about Ringo finding a mysterious cape that gives him superpowers? We don’t know and we don’t care. It’s about The Beatles and that’s all that matters. But please be that last one.